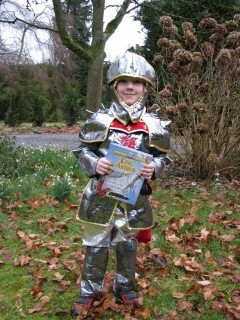 Some inspiration for World Book Day dress up. 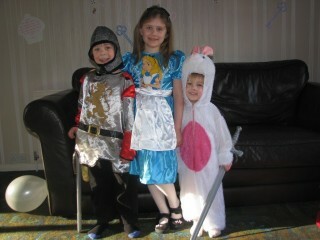 World Book day does not have be a stressful event for dressing up. We usually go through our dress up box and pick out items we think we can turn into a character from a book. 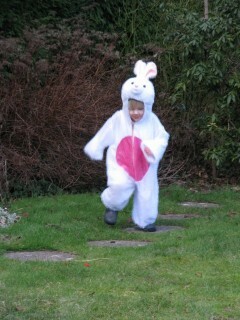 Rather than finding a book we love and trying to get the costume, we go with who can we be using xyz! Alice’s Adventures in Wonderland (commonly shortened to Alice in Wonderland) is an 1865 novel written by English author Charles Lutwidge Dodgson. The bible is a book and also an easy one for dress up. 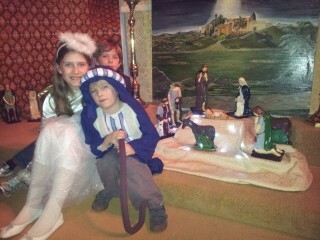 Here we have an shepherd and an angel. Horrid Henry – normal boys clothes, but messy; don’t tuck your shirt in and wear dirty shoes. Scruffy hair too! 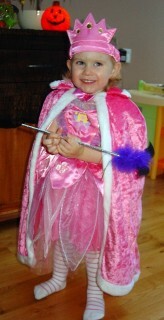 Rainbow Fairies – girls can wear their best fairy costumes; most girls have at least one! There are over 50 of these to choose from, many in regular clothes just with wings added. Possibilities are endless! Gruffalo– either the official suit or dress all in brown, draw a green wart on the nose and and white teeth or download and colour a mask! Characters in School Uniform– Use your child’s school uniform and accessorise. My daughter was a great Hermione by changing her tie, and back combing her hair. We printed a cover for an old book to finish off her look. For Harry Potter, wear the same uniform (boys of course) add fake round glasses, and a drawn on scar on his forehead. 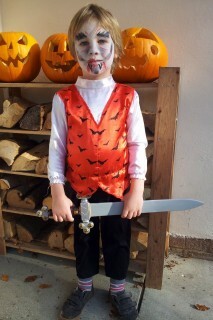 Dracula – (or a vampire) is usually in our Halloween dress up, so by adding face paint, he really looks the part! Goldilocks– A yellow dress and tights, blonde hair or a wig if you’re not blond! Red Riding Hood – A pretty dress with a red cloak/coat over it and a basket with a gingham red and white checked cover. King Arthur– Another more flashy and shiny knight worked well as King Arthur! Cats- “Book world” is full of cat characters. All black clothes, a leg cut from old black tights filled with crunched up carrier bags, and a head band with cardboard ears make a great cat. Princesses- There are many princesses in fairy tales. Pick one and let her be a princess for the day. 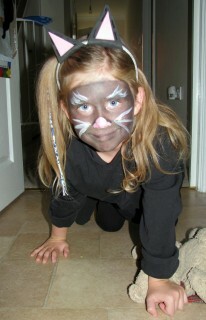 Winnie the Witch - wear a short black dress and stripy tights and carry a black soft toy cat -if you have one! Charlie Bucket– For the boy who does not like dressing up. How about Charlie from Charlie and the Chocolate factory. Brown corduroys, collared shirt and a patterned jumper is all you need. Even better if they don’t fit exactly right! 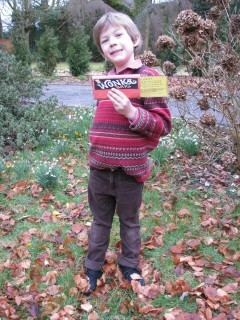 I printed a Wonka bar cover and slipped a printed golden ticket inside as his prop. Charlie and the Chocolate Factory is a 1964 children’s book by British author Roald Dahl. Girls– There are many girl characters in Jacqueline Wilson’s books to choose from. Here we have Hetty Feather from the series of books about her. 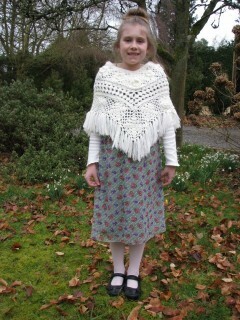 An over-sized tunic from the charity shop, a plain white school shirt and a crocheted “poncho” and her ballet tights and school shoes complete the look. Hetty Feather is a book by best selling author, Jacqueline Wilson. It is about a young girl who is abandoned by her mother at the Foundling Hospital as a baby. Gossip Girls – older girls could style themselves as their favorite Gossip Girl! Sleepover Club – wear pyjamas and slippers, and take a teddy! Moon Face from the Magic Faraway Tree- make a paper plate mask and wear stripy trousers and stuff your shirt for a round belly. Saucepan Man from the Magic Faraway Tree- cover your body with pans. Charlie and Lola – perfect for a blonde brother and sister and they can just wear normal children’s clothes. Spiderwick Chronicles – the children just wear normal clothes. Moll- from The Dream Snatcher– Wear a red long dress, smudged with dirt, hair loosely tied and scruffy, black boots and a catapult accessory.